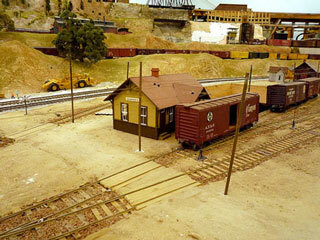 The third issue of N Scale Railroading (Jan/Feb 2001) featured more photos including the magnificent North Coast Limited train belonging to one of our club members! 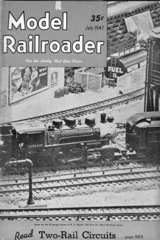 The N Scale layout was featured in the "centerspread" of the first issue of N Scale Railroading magazine (Sep/Oct 2000). 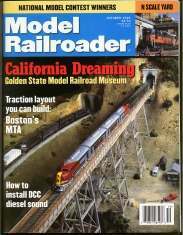 The GSMRM was the Cover Story in the October 1999 issue of Model Railroader Magazine! 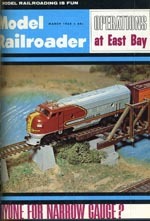 EBMES operations were described in Model Railroader, March 1968. 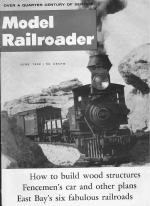 The early history of EBMES was described in Model Railroader, June 1962. The 1947 NMRA convention brochure, hosted by the EBMES, contains interesting historical information. Marketplace Magazine PS Publishing, Inc.
San Francisco's ABC7 News featured us in a news story on July 16, 2009. A video shot by one of our visitors (djoVida).